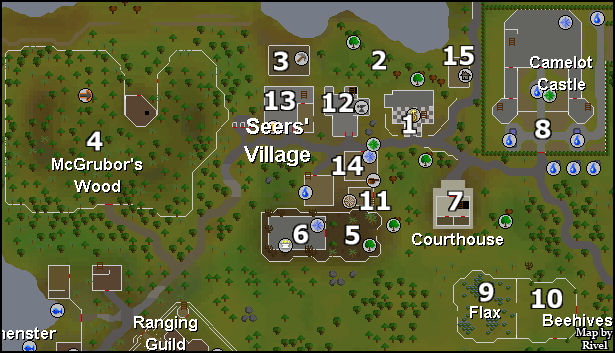 Seers' Village is found northeast of Ardougne, south of Rellekka, and west of Catherby. It is very famous for its flax and rare trees. It is one of the few cities that have a flax field to pick from. It also has a coal mine to the west, Maple and Yew trees to cut from, and a spinning wheel to compliment the flax field. There are many different ways of getting to Seers' Village. 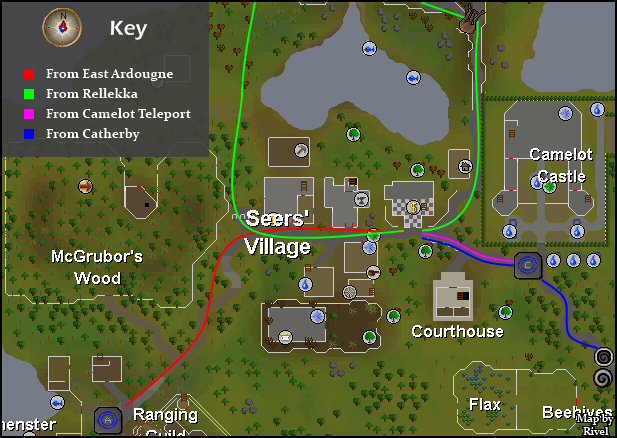 You can walk from Ardougne in the southwest, Catherby in the west, and Rellekka from the north. 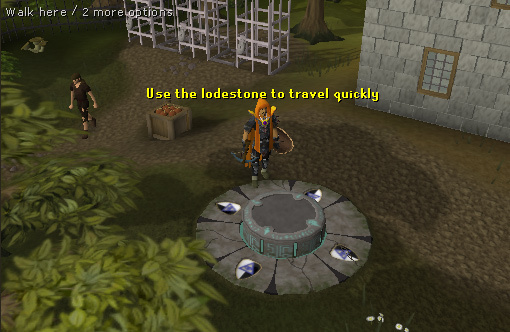 You can also use the Camelot Teleport, which teleports in front of the Camelot Castle and is a short distance walk away from the bank. This map gives a better visual perspective of getting to Seers'. 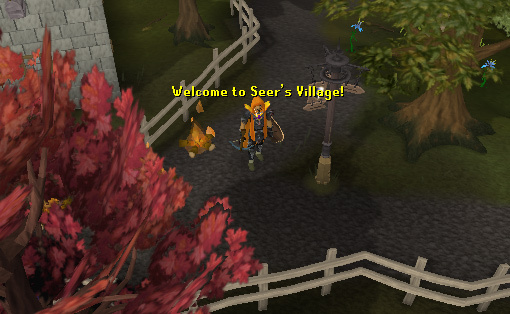 Of course, you can always use the home teleport spell that takes you to the lodestone in the middle of Seer's Village. There are many attractions in Seers' Village, such as the flax field, the beehives, the close by maple trees, and the coal carts. 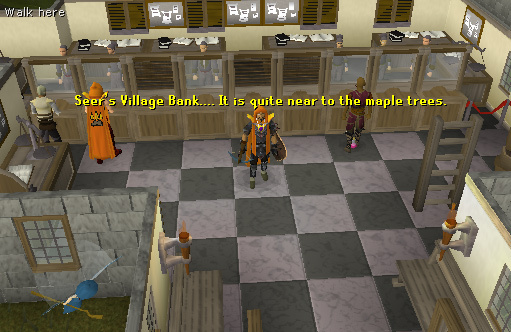 This is a popular bank for woodcutters cutting maple trees. 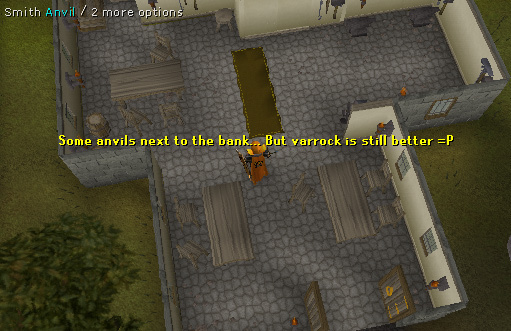 The bank used to be a thriving place of commerce for Fletching and Woodcutting supplies before the Grand Exchange was released. These trees are located behind the bank. Many people cut these trees because they are so near to the bank, making for easy banking. There are four maple trees and five willow trees. 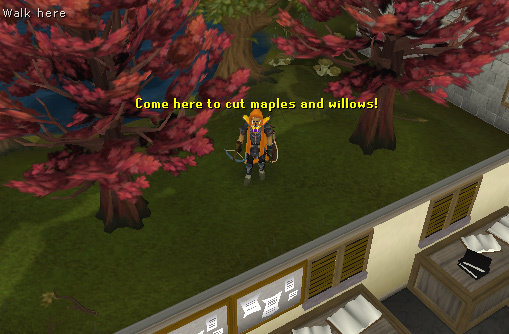 You need a Woodcutting level of 45 to cut Maples and level 30 to cut Willows. 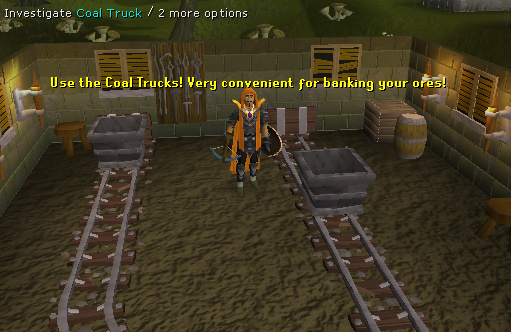 The coal cart pick up is west of the Seers' Bank and east of McGrubor's Woods. One of these carts can hold up to one hundred and twenty coal ores, but you can only use one cart at a time. McGrubor's Wood is found west of Seers' Village, and is used in the quest Plague City to get Dwellberries. This area is also where you find the worms in Fishing Contest, but don't forget a spade! You can't enter by the main entrance because the gates are locked, so you have to go around the back and squeeze through the loose railing just east of the house. Beware of the level 48 Dogs, which are aggressive. 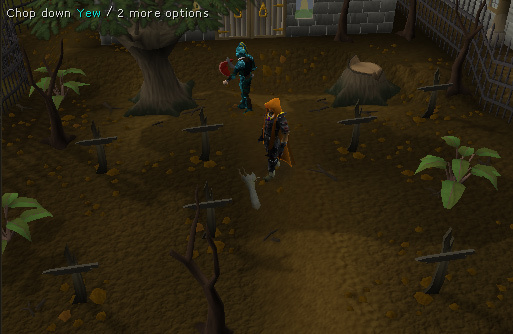 This place might be a bit spooky, but there are three Yew trees growing there. 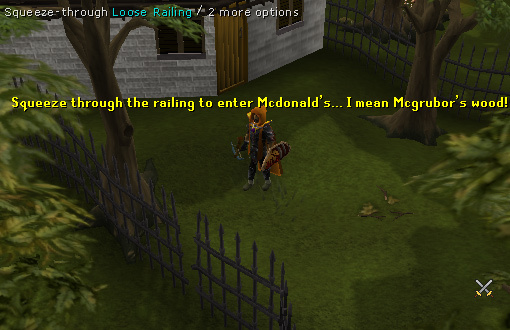 You need level 60 Woodcutting to cut them. 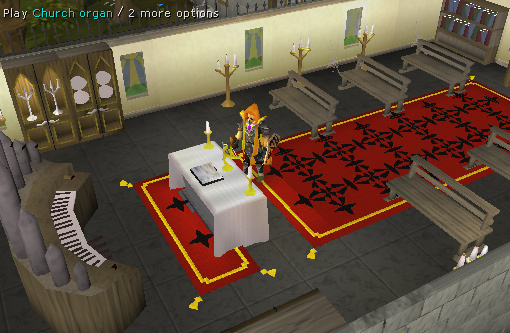 Here you can pray at the altar to recharge your prayer points. It also has an organ which you can play to hear music. This is used in the King's Ransom quest which Anna is sent to jail for killing her father. Here you can start the quests Merlin's Crystal and Holy Grail. 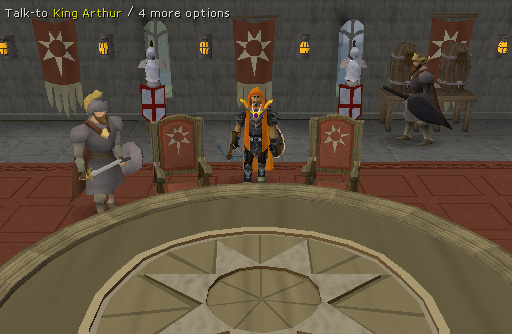 It also has an Miniquest on the top floor called the Camelot Training Room (aka "Knight Waves Training Ground") which requires completion of the King's Ransom quest before you can start it. The most popular attraction in Seers' Village is the flax field. Here players of all different levels come here to pick the Flax. This doesn't have much use, except you might get a random event while picking flax in which you have to re-build a beehive. It is also used in the quest Merlin's Crystal when you have to get wax from one of the beehives to make a Black Candle. 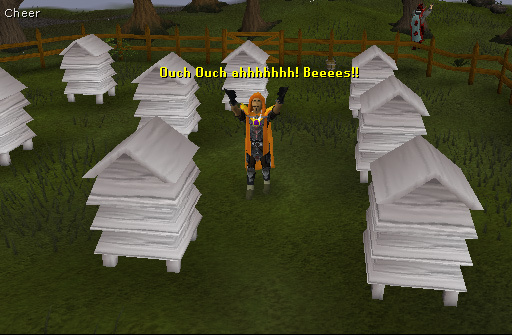 Before obtaining any wax, you must first spray the beehive with some Insect Repellent which can be found in the house north of the bank in Catherby. This is a spinning wheel on which you can spin the flax which you might have just picked. There is also an NPC called Sin Seer who takes part in the Shadow Sword mini-quest. 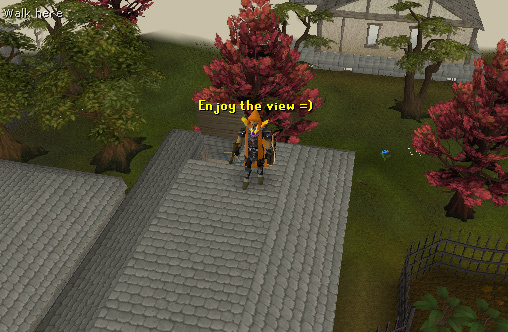 If you climb up the ladder in the One Small Favour quest you will be on the roof so you can repair the weather vane. 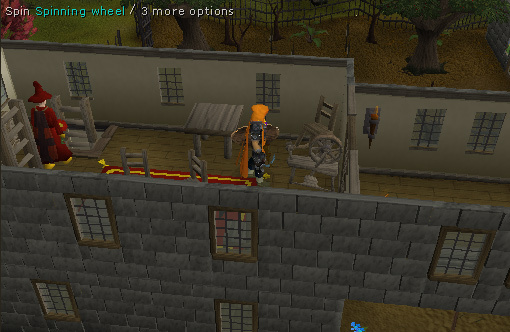 You may only climb up the ladder if you have completed One Small Favour quest or have gotten to the repairing the weathervane part. 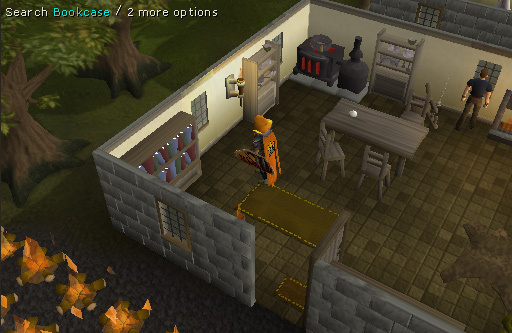 In this house there are anvils where you can take care of your Smithing. Also, under this house there is the workshop used in the Elemental Workshop I, Elemental Workshop II, Elemental Workshop III and Elemental Workshop IV. Here you can buy all your essential drinks and food. They sell Beer 2gp, Stew for 20 gp, and Meat Pie for 16gp. You can also train on men and woman for you lower leveled players. Also, the poison salesman stays here. He takes part in the Fremennik Trials, Murder Mystery, and King's Ransom quests. Here's where you start Elemental Workshop I. You search the bookcase and find a Beaten Book. The beaten book tells you about the Elemental Workshop. 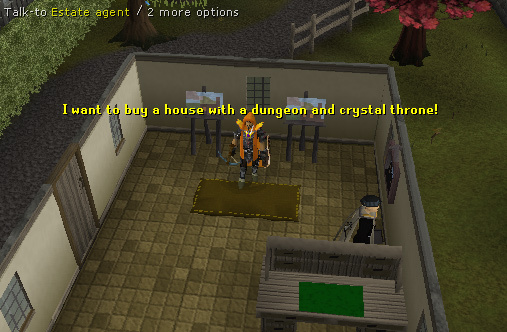 Here you can talk to the estate agent to find information about the skill Construction. You can also talk to him about moving your home to a different location and redecorating your home. 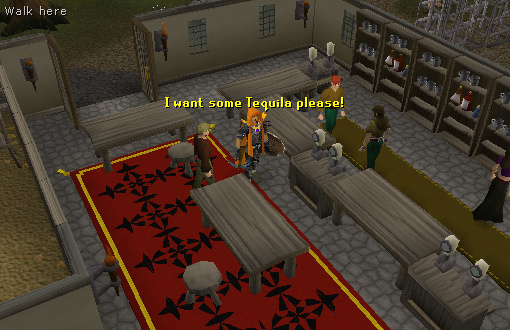 Appears in the One Small Favour quest. 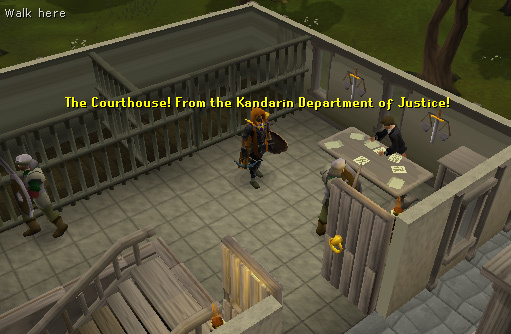 Appears in the The Fremennik Trials, Murder Mystery, and King's Ransom quests.